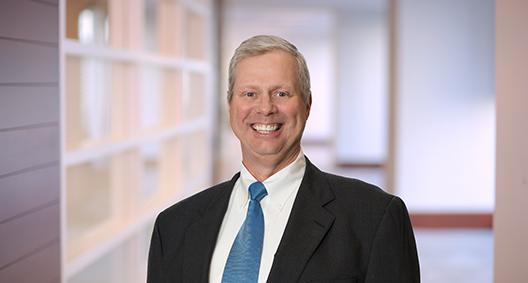 David Jarrett serves as the practice team leader for the firm's nationwide Distribution and Franchise team. He regularly counsels manufacturers on the management of their retail distribution networks, including advising new motor vehicle and tire manufacturers on compliance with the Federal Motor Vehicle Safety Standards (FMVSS), and advising commercial motor vehicle carriers on compliance with the Federal Motor Carrier Safety Act (FMCSA). While he strives to develop reasonable solutions to avoid litigation, if an impasse does arise, he couples his broad knowledge of the specialized laws with his litigation experience to resolve differences. David has a well-developed practice and an in-depth understanding of the varying state laws that regulate the manufacturer-dealer relationship, as well as the federal laws that regulate safety compliance. This has earned him great respect from agency directors and commissioners who serve on the related boards and commissions. Served as lead counsel to a motor vehicle distributor and equipment manufacturers and distributors in regulatory matters filed throughout the United States. In nearly 20 years of representing manufacturers and distributors, has appeared in state and federal courts, as well as in administrative agencies, in Florida, Georgia, Indiana, Iowa, Louisiana, Montana, Nevada, North Carolina, Ohio, Oklahoma, South Dakota, Texas, Virginia and Wisconsin.